the UNITED states has ruled out nuclear weapons. Nato's top commander has ruled out nuclear weapons. However, the Danish defence minister will not advance remove this card from the table, when Nato member countries are discussing a response to a new threat from Russia. - It is my opinion that everything is on the table in this discussion, says Claus Hjort Frederiksen (V). So you will not exclude the possibility that there can be talk about nuclear weapons? - It is not something that I want. But it is not the case that you start with to rule out anything in this regard, the minister says. Denmark keeps a door ajar for a atomsvar against Russia's missile system SSC-8, which has led to an arms control agreement in 1987, between the UNITED states and Russia are now suspended and set to be repealed. The us ambassador to Nato was very clear in the least, as she briefed the international media before the meeting between the alliance's defence ministers on Wednesday and Thursday in Brussels. - first we will work only with conventional weapons - not nuclear weapons, said Kay Bailey Hutchison on Tuesday. The announcement was in line with Nato's secretary-general, that on Wednesday again rejected nuclear weapons. He said that the answer is not going to be one to one. We're going to come with a common response. It will be measured, and it will be a defense, for we have no need for a new arms race. We have no intention to deploy new land-based nuclear weapons in Europe, said Stoltenberg. 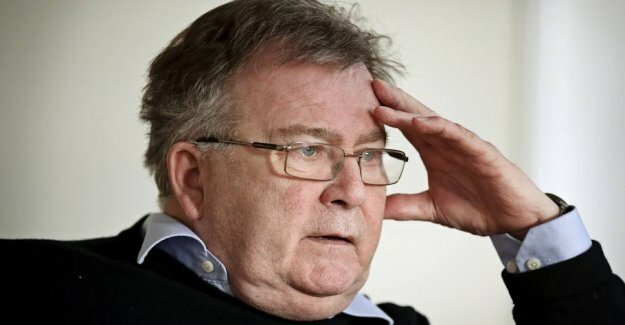 Claus Hjort Frederiksen, however, is not alone. Ministers from both Germany and the united kingdom have expressed a willingness to keep all the cards in the game. Nato must keep all options open in relation to how to deal with this threat in the future, said the uk defence secretary, Gavin Williamson. Norway's defence minister declined to comment on the issue. the UNITED states suspended the INF treaty 1. February. It prohibits mellemdistancemissiler on the ground. The day after made Russia the same. Nato calls on Russia to honour the agreement again, so that it can be saved. Nothing happens, the treaty would cease in august, as there is a six month expiration date. SSC-8 can be loaded with nuclear weapons. The system range is according to the UNITED states and Nato within the prohibited range of 500 to 5500 kilometers. Russia refuses. The missile can only reach 480 kilometres, say the russians.